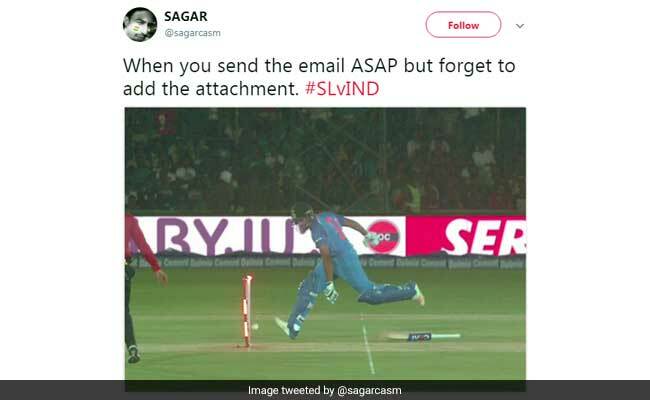 Rohit Sharma's run-out gave rise to some memes on Twitter. Wife: Choose between me and cricket..
Rohit Sharma: Hi baby, I'm busy in match. Will call later. GF: I'm alone at home. In spite of the slow start, India secured an easy nine-wicket win over Sri Lanka in the opening ODI of the five-match series.